The 406 Coupe was introduced in three variants, the Coupe 2.0, the Coupe 3.0 and the Coupe 3.0SE. The base model was fitted with a DOHC 4 cylinder engine developing 135 bhp at 5,500 rpm and a peak torque of 180 Nm at 4,200 rpm. More than 170 Nm is available all the way from 3,000 rpm to the 5,500 rpm peak. The XU10J4R displaces 1998 cc with a bore and stroke of 86 mm. 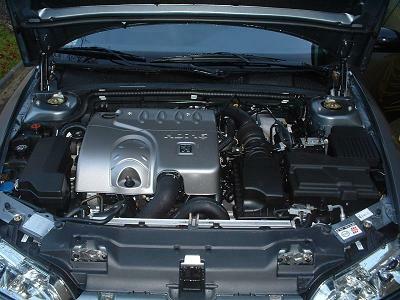 The XU range of engines was originally designed as long ago as 1988 but the model fitted in the 406 Coupe, XR10J4R, entered production in the year the 406 Coupe was launched. The engine was mated to both manual and automatic transmissions and formed the backbone of 406 Coupe production. There were more powerful versions of the XU engine but Peugeot were not looking to the XU10J4R as a high performance option rather than as a reliable economic engine to satisfy the majority of 406 Coupe buyers. The XU10J4R engine comprises a thin-wall cast iron cylinder block with an "anti noise" link at the back of the lower crankcase; the cylinder head is made of light alloy. The XU10J4R was fitted with Bosch fuel injection controlled by an ECU deriving data from individually circuited sensors. Valve operation was by hydraulically operated lifters. The engine was fitted with a single non monitored catalyser and combustion gas levels were monitored by a single upstream lambda oxygen sensor. In 1999 when the D9 version of the 406 Coupe was introduced Peugeot became somewhat schizophrenic about their 4 cylinder engine offering in the car. Ideally they wanted to offer an improved engine in the 160 bhp range to give the non-V6 models a performance comparable with competing 2+2 coupes but they did not have a suitable automatic transmission to marry with the preferred 2.2 litre EW12J4 engine that they chose. To be able to continue to offer a 4 cylinder Coupe with a choice of manual or automatic transmission Peugeot opted to fit the EW10J4 engine with a displacement of 1998 cc, a bore of 85 mm and a stroke of 87 mm. 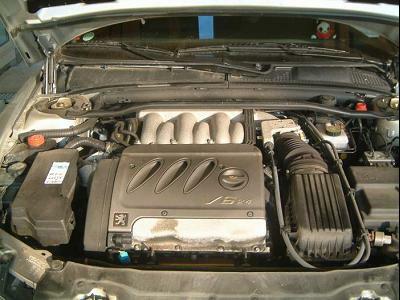 This engine offered a slightly increased power output over its predecessor at 137 bhp. Like the XU10J4 before it, valve operation was by hydraulically controlled valve lifters. In common with all the 406 Coupe engines of its time, the EW10J4 was given a multiplexed electrical wiring system and an ECU monitored catalyser with lambda sensors both upstream and downstream of the unit. Compared to the engine fitted to manual transmission cars the EW10J4 fitted to the power hungry AL4 automatic transmission equipped cars was somewhat underpowered (maximum torque was 180 Nm at 4,200) and set the automatic transmission version of the 4 cylinder car at a slight performance disadvantage compared with its manual gearbox equipped stable-mate (186 Nm at 4,100 rpm) and considerably lower than the V6. 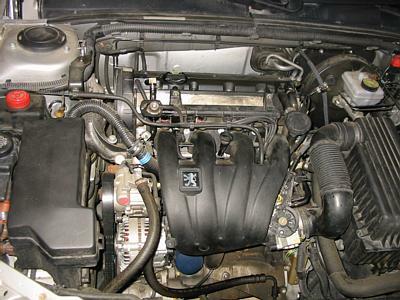 This Peugeot designed 60º V6 engine was introduced in 1997 as a replacement for a 90º V6 engine developed in conjunction with Renault and Volvo which had not been highly satisfactory. The 406 Coupe was the first new car produced by PSA to receive the new engine. The ES9J4 is an all alloy engine with double overhead camshafts and hydraulic valve lifters. The capacity is 2946 cc and the bore is 87 mm and stroke 82.6 mm The engine produces 194 bhp. The ignition system is a 'lost spark' design which supplies duplicated sparks to both the front and back cylinder banks so that when the front cylinders are receiving sparks, so simultaneously are the rear ones and when the rear ones are receiving sparks so are the front ones. Twice the number of sparks is supplied than is actually needed. This simplifies the ignition system but doubles the spark erosion at the plugs. The engine is fuel injected via a Bosch MP 7.0 fuel injection system which is controlled by an ECU which relies on an individually connected sensor system to monitor a full range of engine parameters. The engine has a simple single exhaust mounted catalyser with a single lambda oxygen level sensor to reduce engine exhaust pollution emissions. 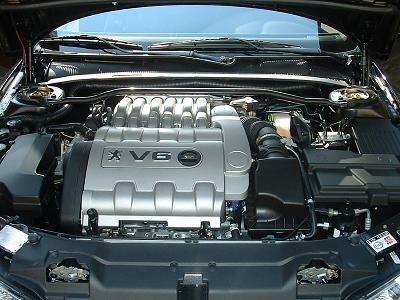 Although the ES9J4 engine is reasonably smooth and very reliable, driving the engine reveals that there is a power output spike at around 4000 rpm that Peugeot did not feel was in keeping with the smooth cruiser image of the car and it quickly became apparent that for an engine of this capacity fitted in a car like the 406 Coupe, the ES9J4 was not putting out sufficient power to meet market expectations. However even when Peugeot revamped the design of the 406 Coupe range from the original D8 model to the D9, there was no improved V6 engine immediately available and the D9 continued, for a short period, to use the ES9J4 194 bhp V6 engine. In 2000, Peugeot subcontracted performance improvement modifications of the existing ES9J4 V6 engine to Porsche. The resultant modifications comprised variable valve timing on the inlet valves controlled by the revs of the engine via an additional cam system to optimize fuelling across a wider rev range, a modification to the way in which the fuel was delivered to the injection system and a re-write of the ECU control software to allow for these modifications. The effect was an increase in power output of 16 bhp to 210 bhp and a generally more responsive engine delivering power more smoothly across a wider rev range. The wasteful 'lost spark' ignition system was abandoned in favour of individual ignition coils mounted on each cylinder to extend plug life. The ES9J4S retained the same 2946 cc capacity and 87 mm bore and 82.6 mm stroke but with new cylinder heads. In keeping with the PSA philosophy of rolling specification improvements, the ES9J4S received upgrades over its life in the 406 Coupe. Modified cam belt running gear was fitted when the engine was introduced to extend the life of the belt and the water pump was altered to prolong its life in parallel with the extended cam belt change periods. These cam belt associated modifications were retro fitted to the earlier engine during maintenance. In 2001 the ECU became OBD-2 diagnostic compatible and the engine control system became multiplexed to simplify the wiring looms. When the ES9J4S was introduced to the 406 Coupe, Peugeot decided to fit a more complex anti pollution system comprising of separate catalysers in the manifold down pipes, each monitored up and down stream by lambda sensors and two more unmonitored catalysers in the exhaust system. These units reduced exhaust gas flow efficiency and coupled with the extra weight of the ES9J4S cylinder heads, all the extra 16 bhp is required to supply performance to the car which is smoother and easier to drive but which does not really perform much better than when fitted with the original engine. Some owners have found that the design of the ES9J4S allows a lot of extra power, which is not available to the earlier ES9J4, to be extracted if relatively simple reverse engineering changes are made to the exhaust system. The ES9J4S is very little less reliable than its predecessor despite its more complicated valve set-up. The multiplexed wiring system is a mixed blessing enabling the sensor system to be simplified but making diagnostics more complex although individual ignition coils which prolonged plug life were a common source of failure until revised coil designs became available. With the continued success of the 406 Coupe, as production passed 70,000 units, and with the ongoing development of the D9 model there was a determination within Peugeot to provide its 4 cylinder engine version of the 406 Coupe with a more powerful engine better able to compete with rival 2+2 coupes. The engine selected was the DOHC EW12J4 with a displacement of 2231 cc, a bore of 86 mm and a stroke of 96 mm, with engine variable valve timing on the inlet valves and a power output of 160 bhp. All valve operation was by hydraulic valve lifters. The Bosch fuel injection was controlled by an ECU collecting data from multiplexed engine function sensors. Like other engines introduced with the D9 model change, the EW12J4 was provided with a fully ECU monitored catalyser with both upstream and downstream lambda oxygen sensors. 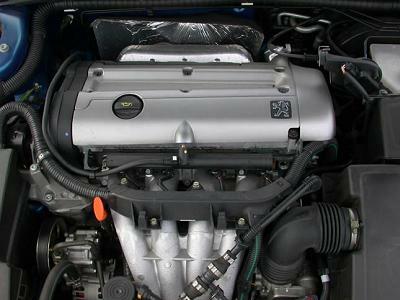 With hindsight it is easy to understand that the EW12J4 engine was the ideal 4 cylinder engine for the 406 Coupe and the car would have benefited from having such an engine instead of the earlier lower power units that were fitted to the non-V6 cars and continued to be fitted to automatic transmission equipped cars even after the introduction of the EW12J4 which was only mated with a manual transmission. The 2.2 HDi (High Pressure, Direct injection) with FAP (particulate Filter) was first introduced by Peugeot in their 607 saloon and then in 2001 Peugeot took the brave decision to be the first major manufacturer to introduce a diesel engine into a sports coupe. The actual cubic capacity of the DW12TED4 - 4HX is 2,179 cm. It is a 4 cylinder, 16 valve engine and in standard form produces 136 bhp at 4,000 rpm and 314Nm of torque at 2,000 rpm. HDi engines offer a number of advantages such as lower fuel consumption, low exhaust emissions, reduced noise & vibration and high torque even at low engine speeds. Whilst it is no slouch, the HDI engine is never going to compete with the likes of the V6 petrol engine in terms of its 0- 60 mph time (10.1s compared to 7.7s for the V6 manual, and 9.5s for the auto,) but its high torque, wide power band, and high mpg figures make it an excellent option for cruising and commuting. At the time of introduction some state-of-the- art technology was used in this engine. This included a variable-geometry turbocharger, an air inlet system with a butterfly choke valve providing variable swirl, a twin-damped engine flywheel and two balancer shafts to reduce vibration and prevent resonance in the cabin. But it is the self regenerating particulate filter (FAP) that is probably the most noteworthy and some would argue most contentious. The purpose of the FAP is simply to reduce particulate emissions from the diesel engine and this is does remarkable well, cutting particulate emissions to virtually zero and CO2 emissions to just 168g/km in well maintained units. The FAP is a porous filtration system incorporated in the catalytic converter that traps particles of carbon when the exhaust gases pass through it. To assist the process a special fluid is automatically injected into the fuel each time the car is filled up. The system is self regenerating because at high temperatures the collected particles are burnt off. 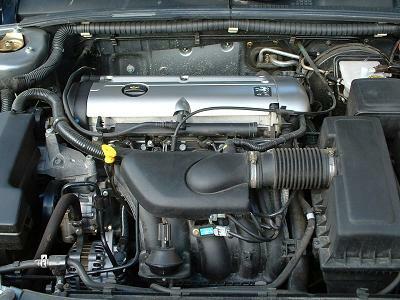 The down side that is sometimes encountered with the FAP is that overtime the filter does become blocked, and when this happens it will trigger a number of automated safety protocols the most crucial of which is the car will go into "limp mode" which will prevent the engine over revving and will significantly reduce its power output. Unfortunately replacing the FAP is expensive and even cleaning it out is an operation that is dirty, potentially dangerous and best left to someone with the right skills and tools, which adds to the cost. Some members have decided to remove the electronic FAP process from the ECU and either remove the actual filter completely, or simply remove the porous material from the filter and then replace the filter shell only. A major benefit of the HDi engine is that it is relatively easy and cheap to have its power significantly increased by remapping the ECU. There are a number of companies that offer this service (at the owners own risk) and there a many 406 Coupe Club members who have used this service to obtain power gains typically to around 180 bhp.